We look forward to helping you plan a perfect meal! Please call us at 336.766.9196 or send us the information below and we’ll be back shortly. Our address is 4784 Kinnamon Road Winston Salem NC 27103. 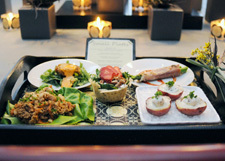 You can also email Holly directly at htate@hollytatefinecatering.com.